Whether you’re new to investing or transitioning to a full-time investment business, there’s no need to rush. Investing in real estate can be profitable; however, it takes time to build a strong portfolio and generate a real profit. At some point in time, every investor ends up with a bad deal, including real estate investors. However, when you’re in the process of transitioning to full-time investing, you can’t afford to take huge risks. Nothing slows down a part-time investor like high-maintenance properties. Take fewer risks while in transition — not because you can’t handle the risks, but because dealing with those risks will eat up more of your precious time, money, and energy, making it harder for you to go full-time. In general, every property will come with risks, but some are riskier than others. For example, student housing will have off-season vacancies. A beautiful home with outdated plumbing will be expensive to upgrade and may have more problems. A home with only two bedrooms will rent for less in areas where families are the main demographic. When you’re in transition, you have less time to deal with breakdowns. Go for deals with minimal risk and repairs. Once you’ve established your full-time presence as an investor, the deals that carry more risk will be easier to manage. To become a successful real estate investor, you need to find your niche. Real estate investing is a broad category that covers a lot of ground (no pun intended). Property management experts at Green Residential suggest narrowing your niche. Do you want to invest in multifamily housing or single-family homes? Are you most interested in dealing with residential or commercial properties? You don’t have to limit yourself to one niche, but while you’re transitioning to become a full-time investor, sticking to one niche will make your life easier. 3. Make the improvements tenants want most. Until you’re full-time, you need to use your time and money wisely. You’ll need to be selective about the improvements you make. Some improvements are more important than others, and some just aren’t necessary. Your priority improvements should include what matters most to tenants. Sure, you could install the most expensive hardwood floors you can find, but there are cheaper options that will look just as good. You could spend $10,000 on new custom cabinets, but what if your tenants don’t even notice or care? If there’s nothing wrong with your existing cabinets, refacing them will cost a fraction of that amount. The improvements most beneficial to you will be the ones that get your unit rented, period. 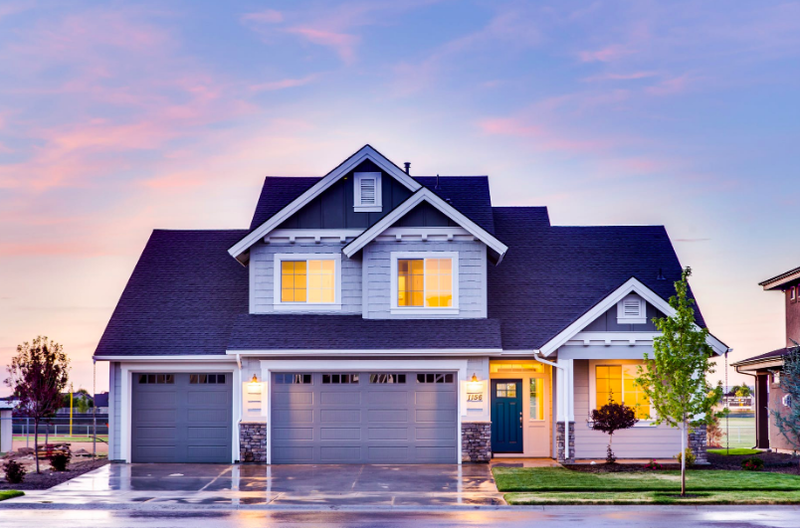 Start with improvements like adding a small garage for off-street parking, installing a dishwasher, upgrading to stainless steel appliances, incorporating an on-site laundry room, enhancing storage space, or updating the bathroom. These tenant-friendly improvements will directly affect your ability to obtain and retain long-term, reliable tenants. When you upgrade your property with what tenants want, they’ll be more likely to take care of the place because they want to live in it. Upgraded appliances will require less maintenance, and your tenants won’t call you at 3 a.m. to report something that broke. 4. Build up an emergency fund. Being part-time means you don’t have the large portfolio that many full-time investors have. While experienced investors can use income from one property to subsidize maintaining the others, you don’t have that luxury. You need an emergency fund, not just to take care of your investments, but to also take care of yourself if your investments don’t pay off. Experts recommend saving at least three to six months’ worth of expenses, but start with whatever you can. Calculate your basic living expenses, and add a little padding on top. Multiply that number by six, and that’s what you should aim to build your emergency fund to. Despite enthusiastic articles suggesting you should quit your day job and “go for your dreams,” that doesn’t work for everyone — particularly if there are other factors at play. Take a methodical, planned approach to becoming a full-time investor. It may take a few years to get going, but taking a strategic approach will pay off. Real estate can be lucrative, but it’s not guaranteed. Strategic planning can make the difference.